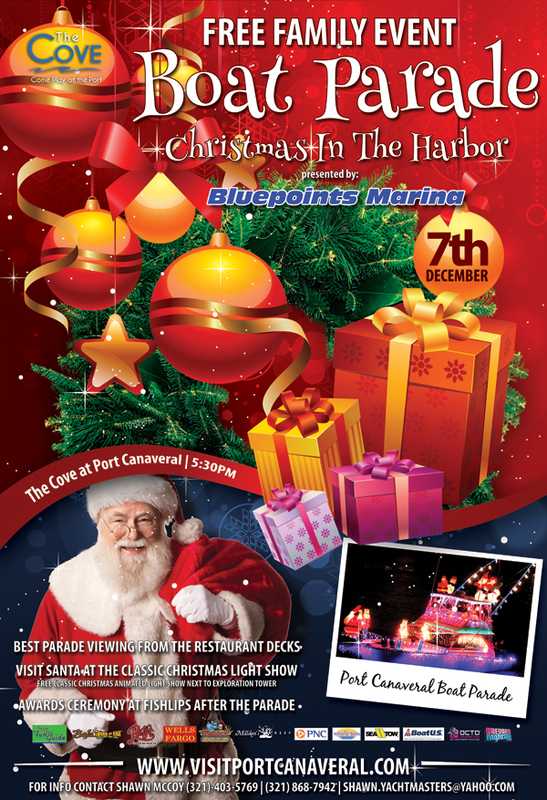 Bluepoints Marina in Port Canaveral is proud to present “Christmas In The Harbor” the Port Canaveral Boat Parade. This family friendly FREE event is taking place on Saturday, December 7th at 5:30pm in Port Canaveral. Attendees can also visit the “Classic Christmas” holiday light show in the Cove and if you’re luck, you can even meet Santa in person! Bluepoints Marina would like to invite all of its guests to participate in the Holiday Boat Parade. CASH Prizes will be awarded for the boats judged as best decorated. Prizes will include: $500 for boat judged “Best Overall”, $250 “Best Power” and $250 “Best Decorated” under 30’. 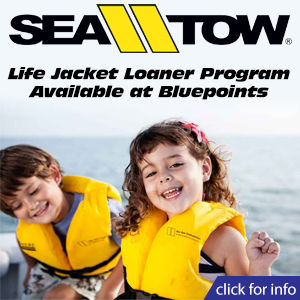 Guests of Bluepoints Marina that participate in the parade will receive a special opportunity to win prizes available only to boats of Bluepoints Marina guests. Prizes will be awarded for boats judged best decorated for: boats less than 24’, boats 25’ – 34’ and boats 35’ – up. 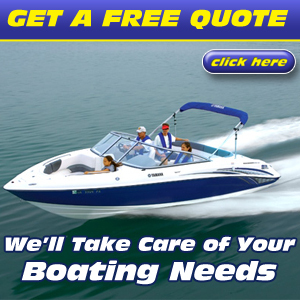 You may register in person at the marina. Entry form must be submitted no later than 4:30pm December 7th. The entry fee for the Holiday Boat Parade is a non-perishable food item which will be donated to the Central Brevard Sharing Center.